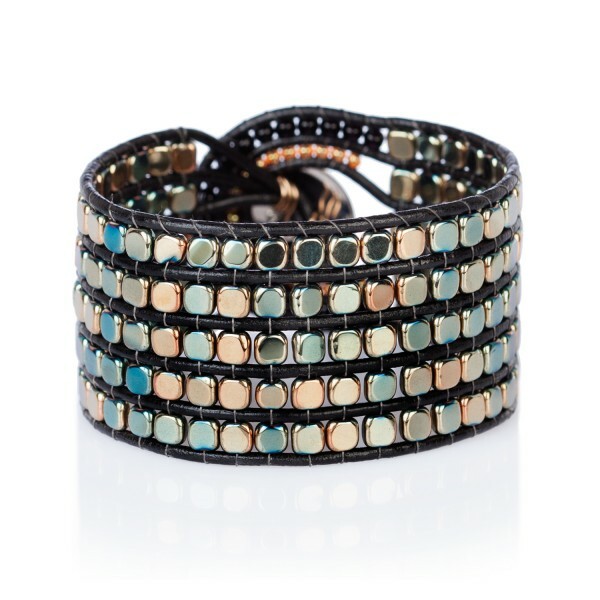 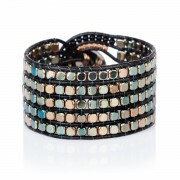 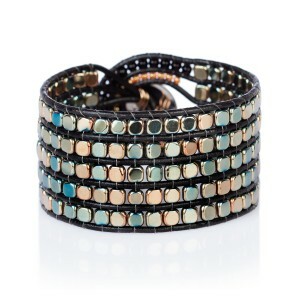 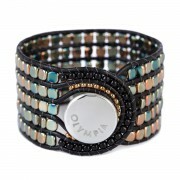 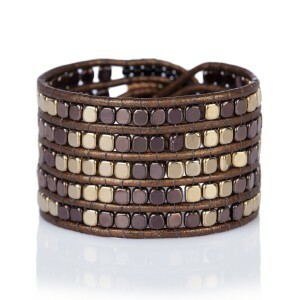 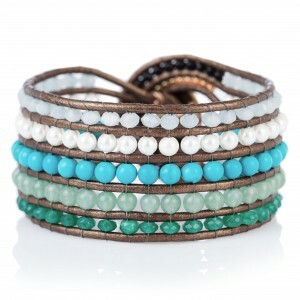 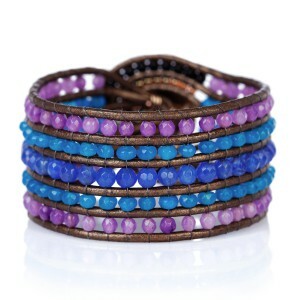 This bohemian style cuff bracelet is created with Hematite semi-precious stones in a green gold shades. 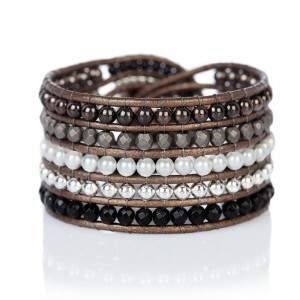 Metaphysically, Hematite is a stone that is most commonly used to ground or stabilize and for protection. 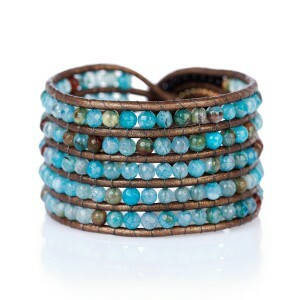 It has been used in complementary crystal healing to cool the body, blood disorders, Reynayd's Syndrome, nervous problems, stress and insomnia, spinal alignment, broken bones.